Postgraduate Institute for Medicine (PIM) in joint providership with RMEI Medical Education (RMEI). This unique educational initiative harnesses the power of reflection and recognition of suboptimal approaches to patient care to allow you to rethink clinical decisions based on the scenarios presented, and to modify treatment plans accordingly. You can compare your responses to interactive questions with those of your peers and learn from our expert faculty. Urticaria is an inflammatory skin condition characterized by intensely pruritic, erythematous wheals, commonly referred to as “hives,” ranging from several millimeters to several centimeters in diameter.1 Individual wheals characteristically resolve within 24 hours of development without leaving residual skin markings. However, resolving lesions are often concomitantly replaced by new wheals. World Allergy Organization. Urticaria and angioedema: synopsis. 2004. www.worldallergy.org/professional/allergic_diseases_center/urticaria/urticariasynopsis.php. Accessed December 21, 2018. Axelrod S, Davis-Lorton M. Urticaria and angioedema. Mt Sinai J Med. 2011;78(5):784-802. Greaves M. Chronic urticaria. J Allergy Clin Immunol. 2000;105(4):664-672. Powell RJ, Du Toit GL, Siddique N, et al. BSACI guidelines for the management of chronic urticaria and angio-oedema. Clin Exp Allergy. 2007;37(5):631-650. Amar SM, Dreskin SC. Urticaria. Prim Care. 2008;35(1):141-157. Maurer M, Weller K, Bindsley-Jensen C, et al. Unmet clinical needs in chronic spontaneous urticaria. A GA²LEN task force report. Allergy. 2011;66(3):317-330. Allergy, Asthma and Immunology Associates, Ltd.
Michael E. Manning, MD, FAAAAI, FACAAI, is president of Allergy, Asthma and Immunology Associates, Ltd., and medical director of the clinical research division, Medical Research of Arizona. 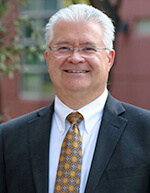 Dr Manning is a graduate of Baylor University in Waco, TX and he received his medical degree from the University of Texas Medical School at Houston. He completed an internship and subsequently residency in internal medicine at St. Joseph’s Hospital and Medical Center in Phoenix, AZ, and an allergy and immunology fellowship at Scripps Clinic and Research Foundation in La Jolla, CA. Dr Manning has served as president of the Greater Phoenix Allergy Society, the Arizona State Allergy and Asthma Society, and the Western Society of Allergy, Asthma and Immunology. He is a fellow of the American College of Allergy, Asthma and Immunology and American Academy of Allergy, Asthma and Immunology. Dr Manning is currently on the Board of Regents of the American College of Allergy, Asthma and Immunology. Michael E. Manning, MD, FAAAAI, FACAAI, has affiliations with CSL Behring, DBV Technologies, Pharming, Shire (Consulting Fees); AstraZeneca, CSL Behring, Genentech, Pharming, Shire (Speakers Bureaus); Aimmune, BioCryst, CSL Behring, Genentech/Novartis, GSK, Hoffmann-La Roach, Merck, Sanofi, Shire/Dyax (Contracted Research). Anne Marie Ditto, MD, is an associate professor of medicine in the division of Allergy-Immunology at Northwestern University Feinberg School of Medicine in Chicago, IL. She earned her medical degree at the University of Illinois at Chicago. Her internship, residency, and fellowship were all completed at Northwestern University. Dr Ditto is board certified in allergy-immunology. Dr Ditto is a practicing allergist with a special interest in urticaria, eosinophilic esophagitis, asthma, and idiopathic anaphylaxis. She volunteers monthly at the Community Health Clinic where she founded an asthma/allergy clinic. She is also actively involved in the allergy-immunology training program at Northwestern, where she has trained over 75 allergists and teaches students and residents in outpatient clinics. 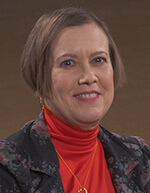 Dr Ditto was invited to fellowship in the American College of Physicians (ACP) and Royal Society of Medicine (RSM) and her distinguished teaching and volunteer work has been recognized through numerous awards, including the Northwestern Medical Faculty Foundation “Center of Excellence Award” for Community Service and Community Health’s “Volunteer Specialist of the Year. Dr Ditto is a former president of the Illinois Society of Allergy, Asthma and Immunology and currently serves as Governor of the Midwest Region of the American Academy of Allergy, Asthma and Immunology’s Federation of Regional State and Local Allergy, Asthma and Immunology Societies (RSLAAIS) and also serves as vice-chair of the AAAAI anaphylaxis committee. She has published numerous articles and book chapters in the field of allergy- immunology and recently edited the “Anaphylaxis” issue of Immunology and Allergy Clinics of North America. Anne Marie Ditto, MD, has no affiliations with commercial interests to disclose. Luz Fonacier, MD, FAAAAI, FACAAI, is the head of allergy in NYU Winthrop Hospital, a clinical campus of Stony Brook University School of Medicine and serves as the program director for the Allergy and Immunology Fellowship Program. Dr Fonacier is also a professor of medicine in USNY at Stony Brook. She completed residencies in dermatology and internal medicine, a fellowship in allergy and immunology in New York Hospital-Cornell Medical Center, and a fellowship in dermal immunology at New York University Medical Center. Dr Fonacier serves as the Treasurer of the American College of Allergy, Asthma and Immunology (ACAAI). She chaired the Committee on Dermatologic Allery of the ACAAI and the Food Allergy, Dermatologic, Drug and Anaphylaxis Interest Section of the American Academy of Allergy, Asthma and Immunology (AAAAI). 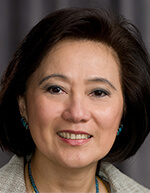 She is the recipient of the ARTrust™ and Anjuli Seth Nayak AAAAI Lectureship, the ACAAI John P. McGovern Lectureship, the ACAAI Jean A. Chapman Memorial Lectureship, the ACAAI “Women in Allergy Award”, and the Presidential Award of Asian Pacific Association of Allergy and Clinical Immunology. Dr Fonacier also served as president of the Long Island Allergy Society. Dr Fonacier has numerous publications in textbooks and journals and continues to be a speaker and faculty in the annual national conventions of ACAAI, AAAAI, and other national and international societies. Because of her training in dermatology, allergy, and immunology, Dr Fonacier’s special interest is the dermatologic manifestations of allergic diseases. Luz Fonacier, MD, FAAAAI, FACAAI, has affiliations with Regeneron (Consulting Fees); Regeneron (Speakers Bureaus); Pfizer, Regeneron, Shire (Contracted Research). The Postgraduate Institute for Medicine (PIM) requires instructors, planners, managers, and other individuals who are in a position to control the content of this activity to disclose any real or apparent conflict of interest (COI) they may have as related to the content of this activity. All identified COI are thoroughly vetted and resolved according to PIM policy. PIM is committed to providing its learners with high quality CME activities and related materials that promote improvements or quality in healthcare and not a specific proprietary business interest of a commercial interest. In support of improving patient care, this activity has been planned and implemented by the Postgraduate Institute for Medicine and RMEI Medical Education, LLC. The Postgraduate Institute for Medicine is jointly accredited by the Accreditation Council for Continuing Medical Education (ACCME), the Accreditation Council for Pharmacy Education (ACPE), and the American Nurses Credentialing Center (ANCC), to provide continuing education for the healthcare team. The Postgraduate Institute for Medicine designates this enduring material for a maximum of 0.75 AMA PRA Category 1 Credit(s)™. Physicians should claim only the credit commensurate with the extent of their participation in the activity. Physicians, nurse practitioners, and PAs who successfully complete the post-test and evaluation will receive CME credit. You must score 75% or higher on the post-test to receive credit for this activity. All other participants who successfully complete the post-test and evaluation will receive a certificate of participation. If you would like to contact Postgraduate Institute for Medicine, please email information@pimed.com. Complete the evaluation form and participants will be entered into a drawing to win a $100 Amazon Gift Card! *The expense for this gift card is solely funded by RMEI Medical Education. No supporter funding was used for the expense of this gift card. This activity is supported by an educational grant from Novartis Pharmaceuticals Corporation. This educational activity may contain discussion of published and/or investigational uses of agents that are not indicated by the FDA. The planners of this activity do not recommend the use of any agent outside of the labeled indications. The opinions expressed in the educational activity are those of the faculty and do not necessarily represent the views of the planners. Please refer to the official prescribing information for each product for discussion of approved indications, contraindications, and warnings. Pro-CME recommends using the latest versions of these supported browsers: Google Chrome, Microsoft Internet Explorer, Mozilla Firefox, Safari. Depending on your browser of choice, additional software, such as Adobe Reader® and Adobe® Flash® Player may be required.